You have been hearing about it! 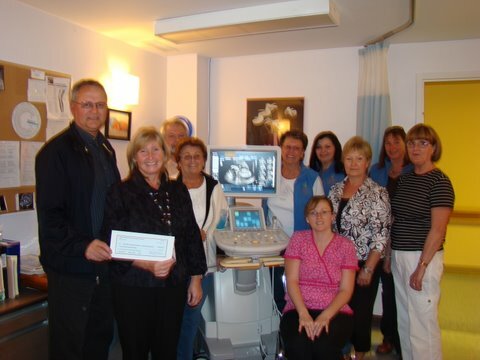 and we are pleased to announce that the Foundation has raised the $200,000.00 pledged for the purchase of a new Ultrasound Machine. The Ultrasound Machine is now in use at the Hospital. Response to our call for support has been phenominal; individuals, business and industry have rallied their support and for that we are extremely grateful. Tickets available from Cathy’s Home Essentials, Forever Green, Red Lake Legion and Foundation members. And the ATV goes to…. The Foundation is please to announce that Vaughn Blab has won the 2010 Yamaha 450 Kodiak ATV raffled on October 8, 2010. Congrats Vaughn and Happy Trails! You are currently browsing the R.L.M.C. Hospital Foundation blog archives for November, 2010.